Tradition of vertically integrated solutions. HIL604 is the latest addition to the long line of vertically integrated HIL solutions that is reshaping the HIL market. 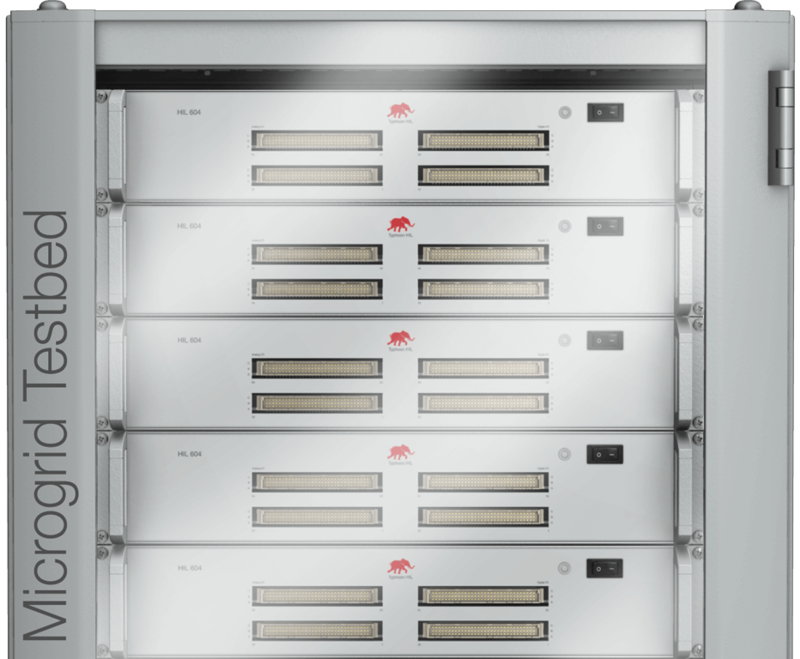 Power engineers simply love the powerful, easy to use, Python-based, application software that integrates seamlessly with the most powerful processor, twice the number of I/O ports, and connectivity capabilities that are redefining the expectations. If you are looking for the market-leading desktop HIL unit that will keep developing and consistently exceeding your expectations, look no further. If you are looking for a powerful building block for your state-of-the-art Microgrid/Distribution Grid/Transmission Grid testbed, look no further. 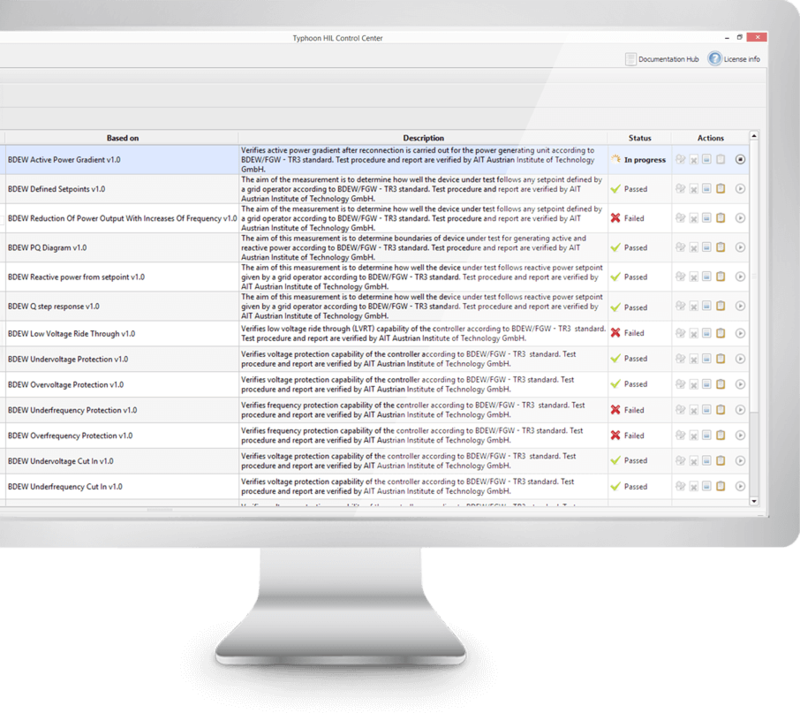 The next generation of sophisticated testbed solution is only an email away. Reach the new heights of your engineering excellence with the latest in the trailblazing HIL operating systems you love. The HIL Operating System from Typhoon HIL respects your time. It shields you from trivialities and helps you focus on what is truly your job: outstanding power engineering that is built into game-changing power technologies, outstanding power products and power services your consumers love. Try the award-winning HIL Operating System with a rich library of elements that makes modeling an experience to look forward to. Add libraries and call functions. 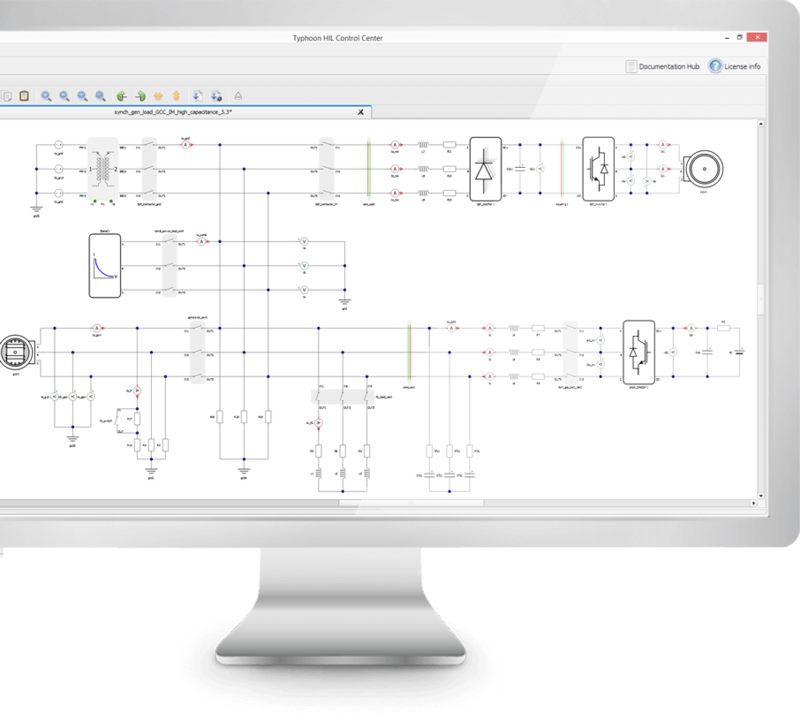 Drag and drop machines, gensets, battery storage systems, PV plants, transformers, switches and transmission lines.… and compile them with a single click! Run your HIL tests in the powerful built-in HIL SCADA, supported with an amazing Scope and Capture functionalities. Every element in Typhoon HIL’s software toolchain can be controlled with Python scripts. Automate your tests with the built-in Python Editor: insert disturbances, create faults, trigger short circuits… throw anything you can think of at you controller under test and record its responses. Automatically. The new 6-series flagship. More powerful than any other simulator on the planet. The all new 6-series processor once again sets the industry standard for ultra-low-latency, ultra-high-fidelity, real-time emulation of power electronics enabled power systems. Paired with Typhoon HIL’s software toolchain that perfectly and seamlessly cooperates with HIL604 real-time emulators, you can forget about interoperability issues and set-up headaches. Be it ad-hoc testing or complex automation and formalization of test processes, the perfectly integrated software and hardware allow you to focus on testing and not on setting-up the test system. From a component to the systems. No microgrid is too complex and no shipboard power system is too big. 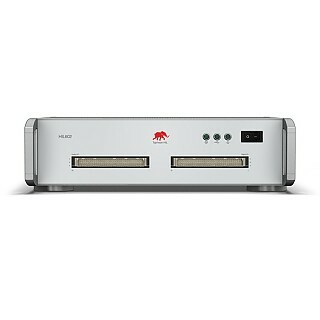 Parallel your HIL604 systems and create powerful HIL clusters that can handle any system size that you throw at it. Thanks to its new, expanded I/O stage with 224 I/O channels you can simply plug any controller to the HIL604 real-time emulator – without any controller modifications – and take it for the most demanding test drive ever in real time. With ± 24V and ESD protection on all 224 I/O channels, the new 6-series devices allow worry-free interfacing and experimentation. Finally time synchronization (PPS and IRIG-B inputs) built into the HIL604 paralleling protocols shatters any system-size barriers while keeping 1 microsecond latency. HIL604’s rich connectivity with Ethernet, CAN and RS232 is paired with industry-standard communication protocols. Open a whole new world of testing possibilities with real or emulated devices talking through real communication lines. 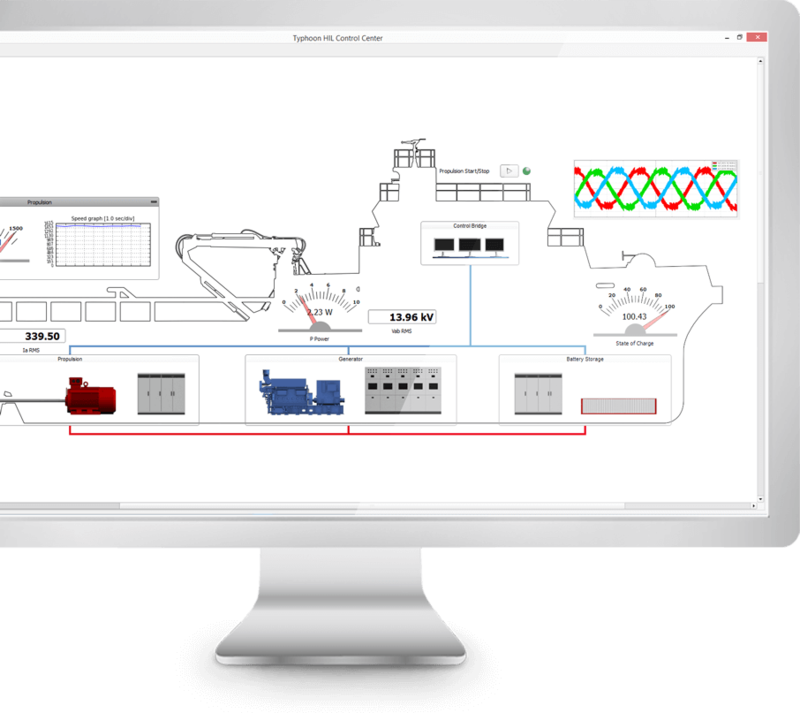 Your testbed can also talk with any SCADA system.